Periods and menstruation are a fact of life for most people. Whether it affects your own body, your partner, or your child, menstruation is a monthly occurrence that can affect moods, lifestyles, and even budgets! So what are the options for those of us who bleed, and what factors should you consider when choosing which is the right menstrual product? 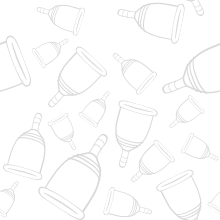 Below is our Menstrual Cups vs Tampons & Pads Infographic that will give you the facts and figures you need to help you make an informed decision!